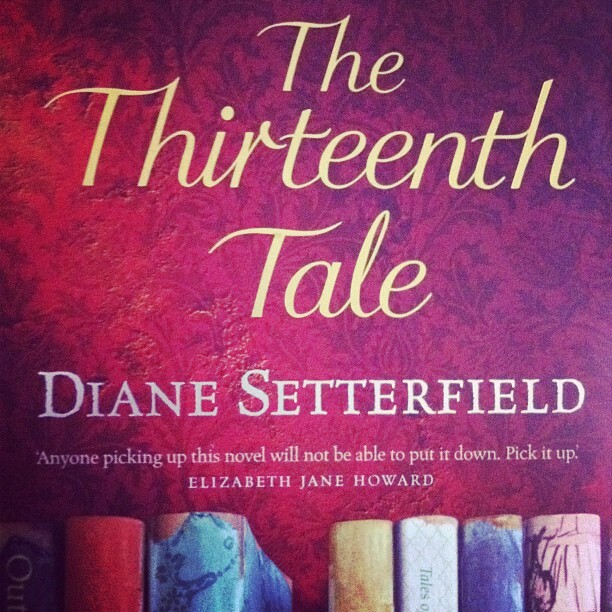 The Thirteenth Tale: A re-read after I spotted a nice hardback copy for £1 in the Salvation Army last Friday. Since I already own the paperback I convinced myself I didn't need another copy, however pretty, and flounced out of the shop before my self control could waver but then proceeded to think about said hardback at every idle moment over the next 24 hours. Saturday afternoon arrived and enough was enough, I decided if the book was still there I'd buy it and reasoned that it was cheaper than a magazine. This is what comes of being a magpie and book lover living 200 meters from the nearest charity shop; nutty inner monologues and duplicate buys of books you love purely so you can have more than one edition. Without giving too much detail in terms of plot the gist is this: reclusive, mysterious, bestselling author Vida Winter is one of Britain's best loved literary figures, with a huge body of work, but almost nothing of any real substance is known about her - she'll invent a new and complex backstory for herself with every interview rather than revealing any truth. Margaret Lea lives and breaths old books with dead writers, she knows every book in her father's antiquarian book shop having helped him there from a young age. Also dabbling occasionally in biography, she loves the stories of ordinary people, immersing herself in memoirs and letters rather than modern fiction. She receives a lengthy letter from Vida Winter who is interested in finally putting her own story onto paper and needs a biographer. Me Before You: I'm not the biggest fan of 'chick lit', I'll pick up the odd book if there have been great reviews for something or if a friend has recommended it but generally speaking I find them quite formulaic. Sometimes though, I just need something fluffy! With just over £4 in Waterstones points kicking around I went for this. I really enjoyed it, read it in a single sitting and had to reach for tissues more than once, absolutely not your typical 'girl meets boy, girl and boy dance around their mutual attraction, obstacle is thrown in the way, obstacle is cleared, all is peaches and cream' love story but neither is it ground breaking. It's what I call a creeper, I could have taken or left it after the first couple of chapters but the more I read, the more I cared. The Curious Incident of the Dog in the Night Time: I read and enjoyed 'A Spot of Bother' by Mark Haddon a couple of years ago but somehow never picked this up despite it being massively popular until my friend Lulu (if you like makeup you'll love her blog: Lulu GS Make-Up Artist) told me I absolutely HAD to read it. It took a few weeks of combing the Ashbourne charity shops before I came across a copy in the Oxfam book shop but it was worth the wait, I finished reading it just before I started typing this post. I'd imagine plenty of you got there before I did with this one! But for those who didn't the narrative comes entirely from the point of view of Christopher Boone, a fifteen year old boy who has Asperger's Syndrome. 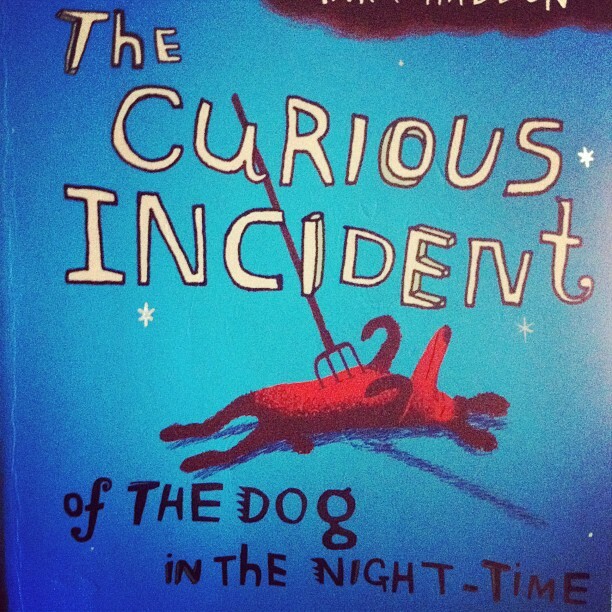 The Curious Incident of the Dog in the Night Time is a murder mystery and diary simultaneously which takes us on an investigative journey through the eyes of a boy who hates yellow and brown, finds safety in mathematics, timetables, routine, and never allowing one sort of food to touch another. Christopher likes dogs and it saddens him to come across his neighbour's dog dead on the lawn, speared with a gardening fork, he feels he has to find out who killed the dog and why. The insight into how emotion, social niceties and everyday life are experienced when you have no innate knowledge of how to lie and how to behave generally without having it explained in detail is so engaging. The way Christopher perceives everything is so literal that I found myself wondering how it is that most of us absorb how to categorise and respond to emotions with so little effort. I can't recommend this book enough! Now I've rambled on, I'm away to make a cup of tea. Think I may also have to increase the number of books I've challenged myself to read as I seem to be tearing through at the moment! I think this is a great reading challenge - in set myself a goal of a book a week (due to the fact i have little time these days) but have failed the last month - need to get back on it. Wow your flying through the books, i'm still on my first book of the year. But after not reading any books since October this is good going for me. I remember reading and loving the Curious Incident ... was really intriguing! I now want to read them all! I must say that I wish I lived closer to some charity shops just for the book browsing....they're all a bus ride away, which means I'd have to use the money to buy the books on getting there instead! I'm definitely nowhere near my goodreads target atm, but then I do read books and dont update it! Wow - you are so much more ambitious than me! I set myself a target of 75 books and I'm lagging behind! Hehe. 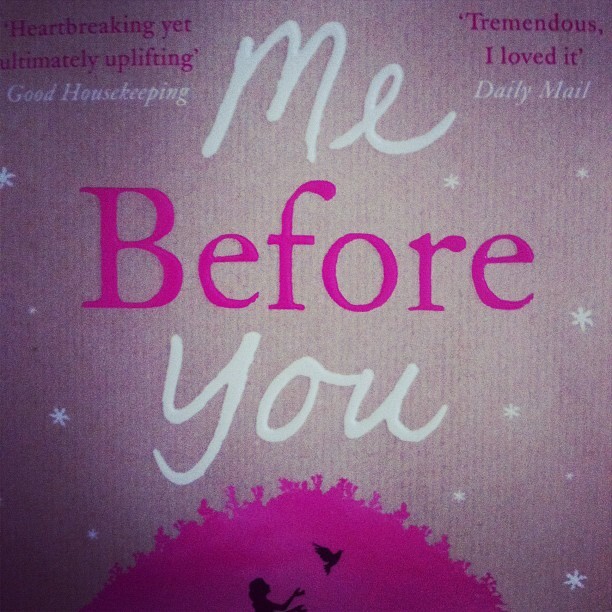 I have me before you on my kindle ready to read. 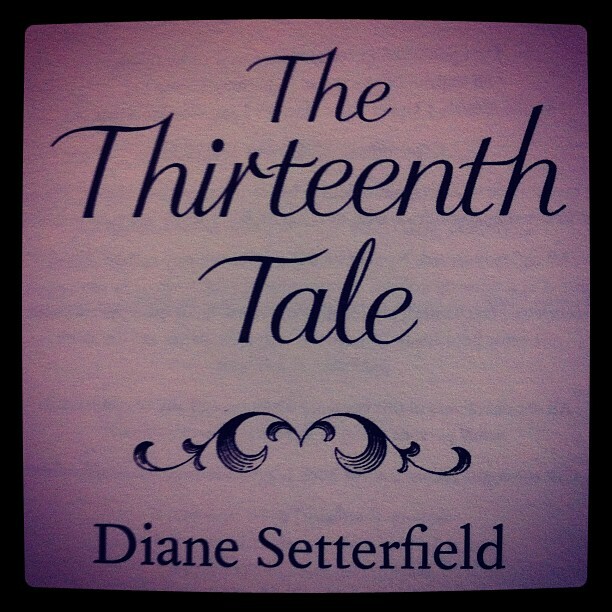 I also really enjoyed the Thirteenth tale. I love nothing more than settling down to a good book! Difficult to resist Curious Incident - one of my favourite reads and I have The Thirteenth Tale in my pile of books ‘to read when I have time’. I feel a zing of inspiration to read now but it's really quite hard to commit to it with two little ones at my heels. I feel so time poor even the basics in my life are not always done. But I like the idea and maybe I should set myself a goal of reading at least a book every month......maybe I'd better make that every 3 months. I'd rather surprise than disappointment myself at my progress.....or lack thereof! I just love that you love books! 150 books in a year, that's a lot! Oh, and the Curious Incident Of the Dog in the Night-Time is wonderful!